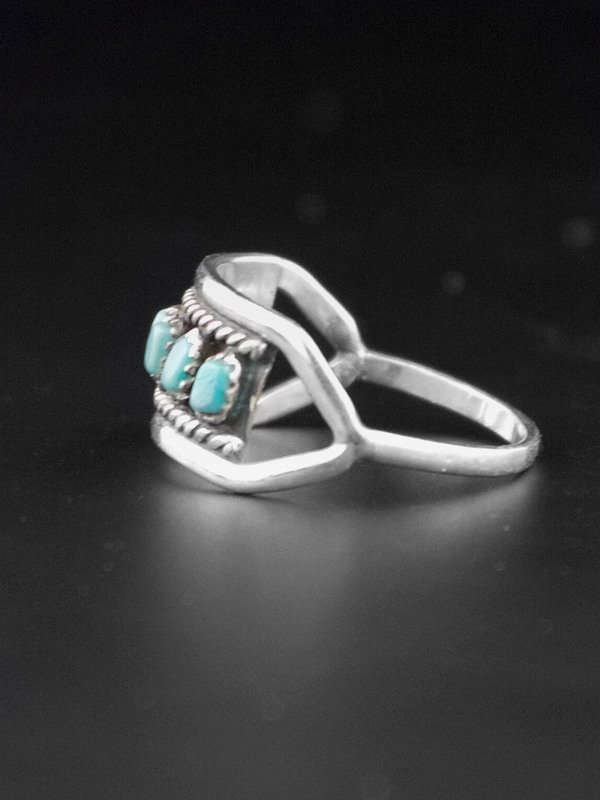 Beautiful, small and delicate Zuni needle point turquoise ring. 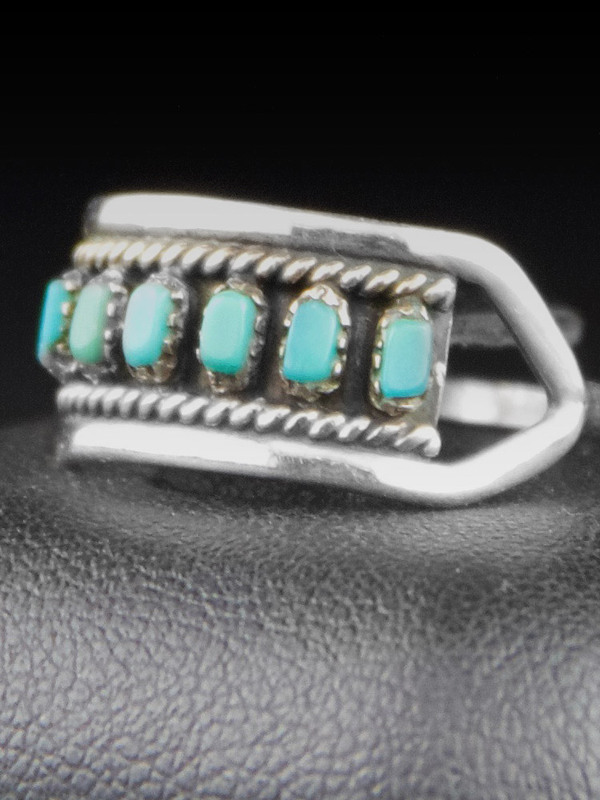 Lovely, elegantly handcrafted Native American (Zuni) turquoise vintage ring. Light, small and delicate silver - very fine saw tooth bezel setting for six turquoise pieces. Handmade, circa 1980. Condition Report: Spectacular vintage condition. Shows mild wear commensurate with age, no dings or chips, will come with some patina, as level of polish is a matter of taste. 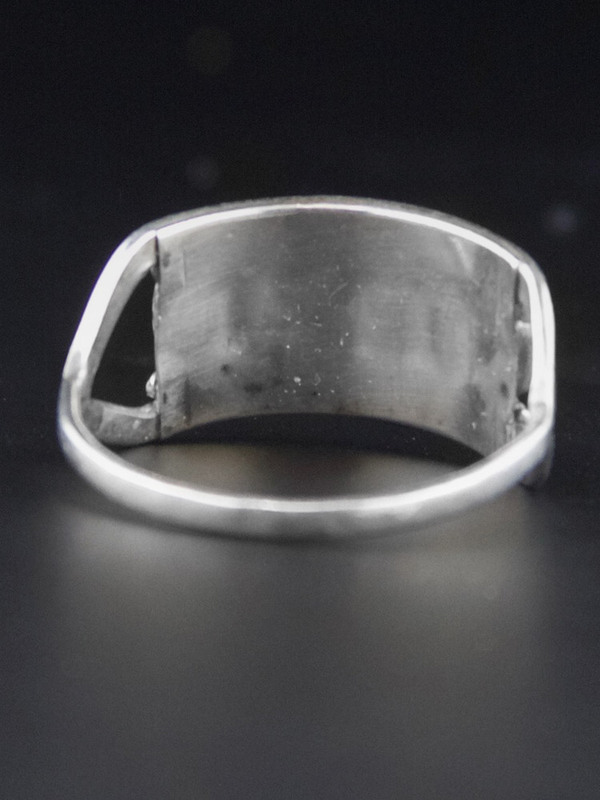 Has a handcrafted look to it - amazing vintage ring.